But here’s the thing – ‘budget’ doesn’t mean cheap. To one bride their budget might be £25,000, to another, it might be £5000. Both are ‘on a budget’, their budgets just differ. There is no right or wrong. You can plan an amazing wedding with a large budget, and you can also plan an amazing wedding with a small budget. You just need to prioritise what’s important to you and stick to whatever budget you have. It’s no-one else’s business what you spend on your wedding, don’t feel pressured because someone else has spent more. Your wedding isn’t about impressing your guests, it’s about the fact that you’re getting to spend your life with your favourite person, it’s about YOU enjoying the day, so spend whatever you’re comfortable with. Say you’re looking for a ‘reasonable priced photographer’ – everyone you ask will have a different definition of what a reasonable price is. Not only will this depend on your budget, but it will also depend on what is most important to you. To one couple, photography might be the most important thing, so to them a photographer who charges £2000 might be perfectly reasonable, even if they only have a small overall budget. Another couple might have a huge wedding budget but spend most of it on the venue because that’s what is important to them. They might not see as much value in photography, so to them a reasonable price might be just a few hundred pounds. There’s no right or wrong. And there are suppliers for every budget you can imagine. But keep in mind that just because someone is the cheapest, it doesn’t mean you’re getting the best deal. Just because someone charges a lot, it doesn’t mean they are the best. Look into your suppliers and make sure they are the right fit for you. A supplier who’s right for your friend, doesn’t automatically mean they’re right for you too. Eveyone has different styles so make sure your suppliers share the same vision for your day. I’m not saying don’t ask for recommendations. Recommendations can be great if you’re not sure where to start or if you want to hear first hand from someone who has used that supplier. But try looking at it differently. If you asked ‘I’m looking for recommendations for cheap wedding flowers’ – you’ll get all sorts of recommendations, you’ll get a mixture of fresh and artificial flowers, you’ll get a mixture of traditional styles and more modern, and searching through them all might be overwhelming. Have a think about what style of flowers you want, then you can ask ‘I’m looking for wild flower style wedding flowers’. 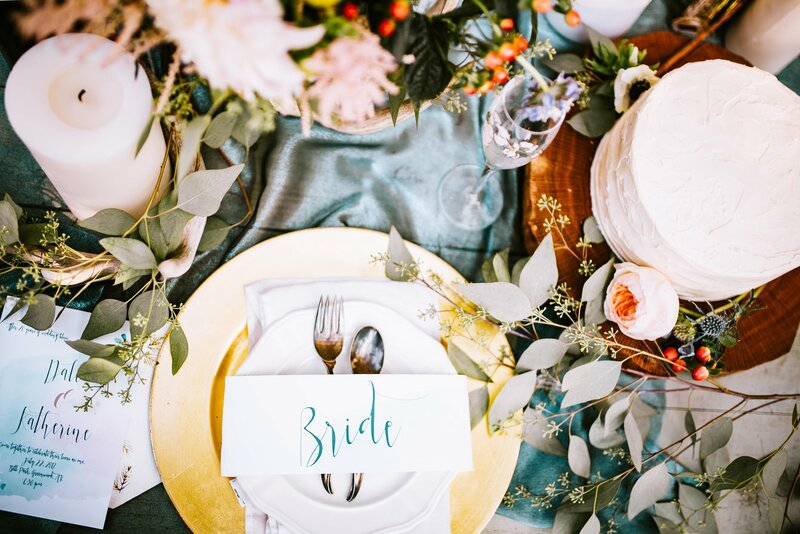 You’ll then get recommendations for suppliers more suited to your style, and someone else’s definition of cheap isn’t imposed onto your wedding planning. You’ll get recommendations for a variety of budgets and can decide for yourself if its a good deal or not. And if you find a supplier you love, but they look a little out of your budget, have a chat with them. A baker might be able to recommend a smaller variation of a cake you like, a photographer might be able to offer a shorter days coverage, a venue might have a discount if you choose a winter wedding date. It’s important that you like the suppliers your working with, so always chat with them before ruling them out completely or before choosing a supplier that you’re not happy with. Planning your wedding budget? Check out our article about prioritising and download our free budget planner to help keep you on track.